Bob Dylan's gravely voice sounds so convincing that he could sing a song about being a astronaut on Mars and I would believe him in a second. 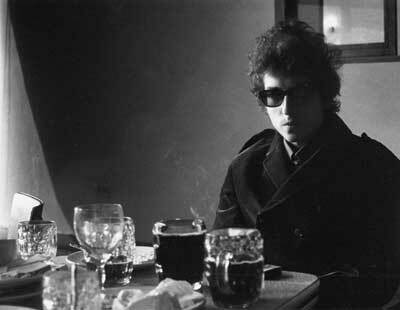 On this powerful track, Dylan tells the story about a down and out moonshiner, alone in the world with nothing but his whiskey to keep him comfortable. A depressing tale if there ever was one, Dylan fits the part perfectly. Similar to incredible acting performances, where it's almost impossible to distinguish between the character and the actor, in this stirring song Dylan completely makes the character of the lonesome moonshiner his own. With nothing but his acoustic guitar, it's not hard to picture Dylan, or better yet, the character he is singing about, recounting his tales around a campfire, bottle of whiskey in hand, years of hard living etched on his face. "Moonshine Blues" is an alternate version of another Dylan song, "Moonshiner," and is found on Bob Dylan's rare The Gaslight Tapes released in 1962. Although the original is also great, the scratchy recording quality, the extended guitar solo, and the added emotion on this track make it my favorite of the two. This is a great song to take it down easy, a great thinking song, and is probably my favorite Dylan jam of all time.